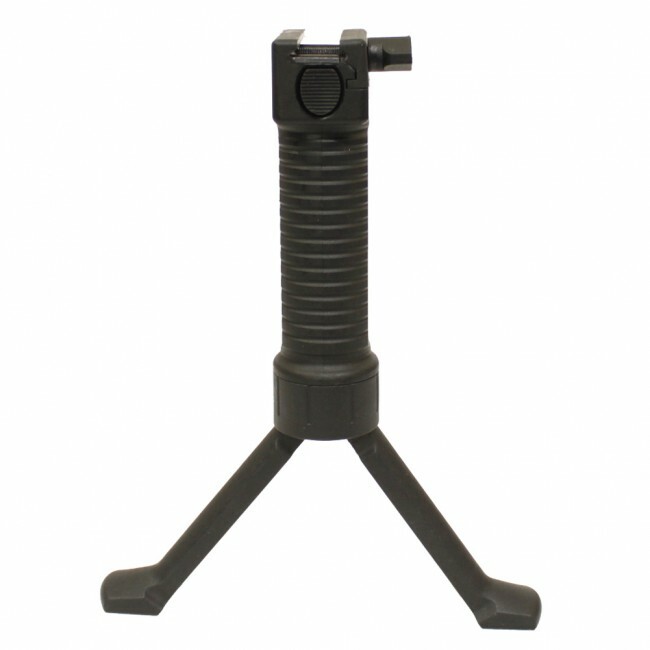 The G&G MK16 Bipod Grip is a vertical grip and bipod all in one. The grip attaches to the rail with a thumbscrew. 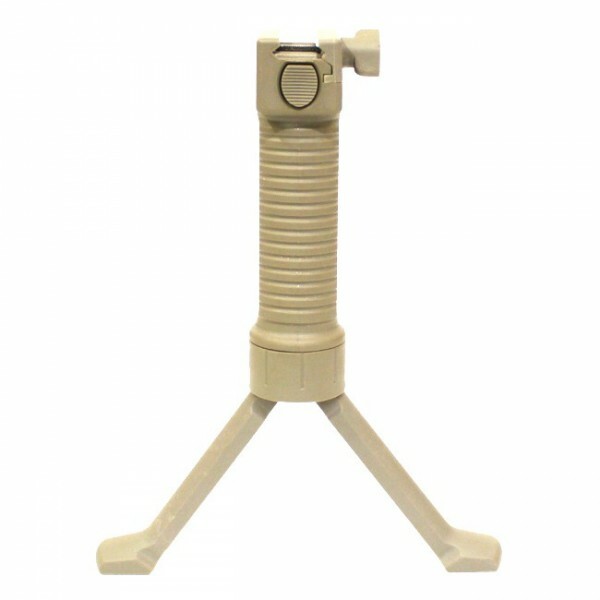 Near the top of the grip is a button that deploys the the spring loaded bipod feet. 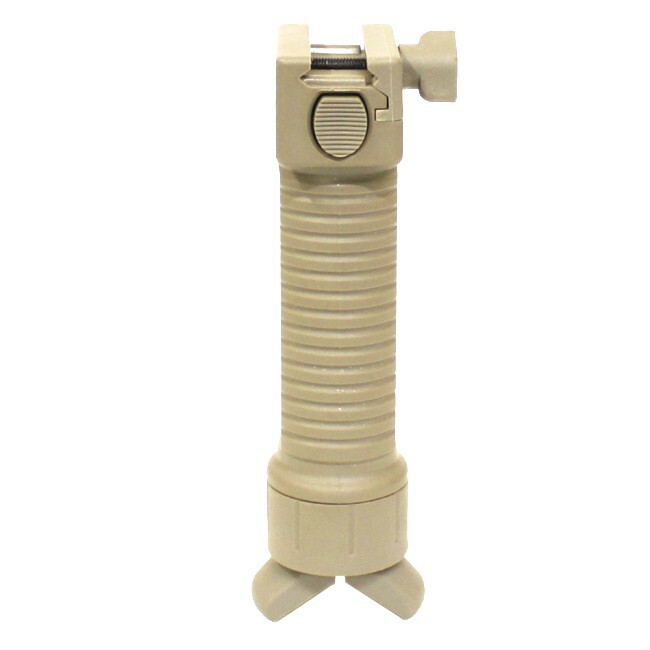 In seconds you can change from a controlled tactical grip to a stable prone firing position.